On Saturday, I attended a new convention in NYC called BookCon. There is always this event called Book Expo America which is only open to booksellers, librarians, teachers, publishers, and industry folk but last year they opened the Expo up to the public for Power Reader Day. This has been turned into BookCon by the same people who run New York Comic-Con. I had always heard wonderful things about Book Expo America especially the fact that attendees get advanced reader copies of new books. Something that also happened at Power Reader Day last year. Unfortunately, for whatever reason, BookCon attendees did not get this luxury. They closed off a portion of BEA’s show floor and had booths set up specifically for BookCon but we couldn’t venture to the other side though BEA attendees could. My only real problem with this was that the show floor was so tiny and cramped but some of the booths had signings and giveaways and made it almost impossible to move around. Which also happens at NYCC but at least there’s more space for an escape. After my quick walk through the floor, I went on line to try to meet Cary Elwes. The Princess Bride is my favorite movie and Elwes’ Robin Hood is one of my favorites. I was lucky enough to get an autograph on the first chapter of his book and speak with him a little bit. He asked for everyone’s name and shook hands. He shook mine twice because I had said what a big fan I was from Princess Bride and Robin Hood: Men in Tights. After that, I went to get on line for his panel. This was another thing I had a problem with. I was waiting in line but there was a panel before his and I was asked by an employee if I could leave the line and come back closer to his panel. I said fine but when I went back at the time she told me, it appears she didn’t tell other people this and they started a new line. I still managed to get in but I hate that they seem to tell some people one thing but not others. Consistency is key at crowded events like these. 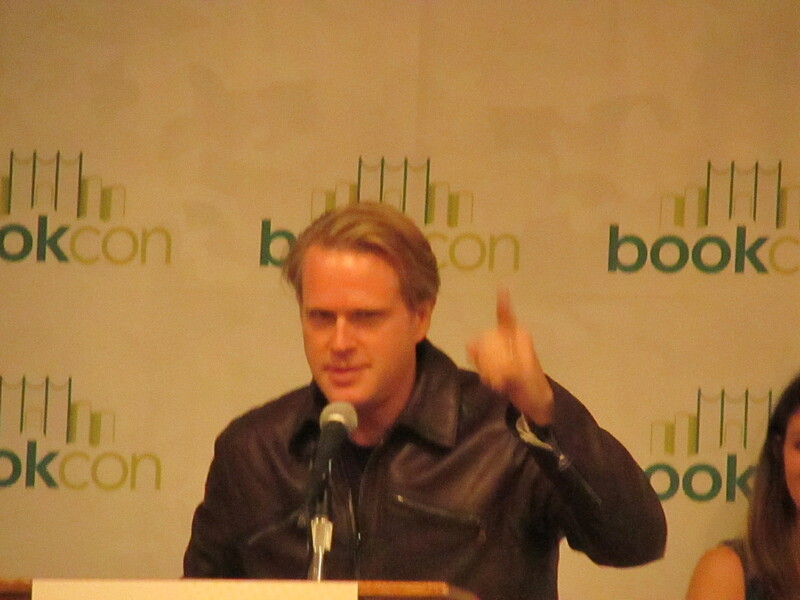 His panel was about the book he wrote about the making of The Princess Bride. He shared tons of stories from the set (most of which I actually knew) and we watched some clips of the movie. He seemed pretty impressed that the whole audience knows every line to the movie. He also did many impressions of his fellow cast members. His retelling of stories involving Andre the Giant (who played Fezzik) was hilarious. I’m very glad I was able to get in and can’t wait for the book to be released in October. 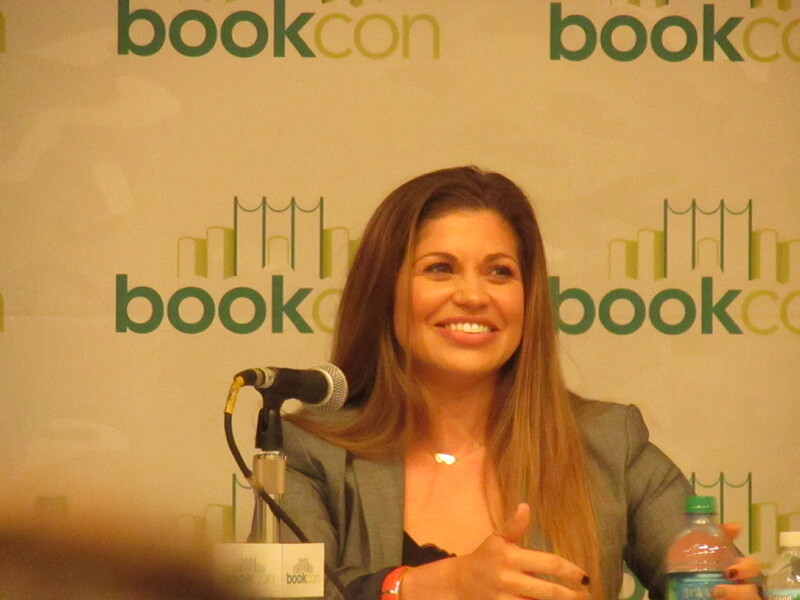 After his panel, there was one with Danielle Fishel from my favorite TV show Boy Meets World. She was discussing her memoir out in September. She relieved some embarrassing moments involving Ben Affleck and Jared Leto. She told some stories from Boy Meets World and how excited she is for us to see Girl Meets World. She seemed very personable and I appreciated her honesty when discussing the Hollywood system. Also, she really does have amazing hair. I was jealous. Her panel ended just as Jason Segel’s panel for his children’s book, Nightmares, was beginning and I was shut out of that one. Final complaint: the show floor closed at 3 and the last panel started at 4:30. My friends went to John Green’s The Fault in Our Stars panel but I haven’t read the book yet and didn’t want to get spoiled so I avoided it. Also, I heard it was complete madness on line. So, I basically just sat on the floor outside the exhibit hall waiting for them to come out. All in all, I had a good time because I did what I intended to do but they really need to organize the convention better if they want more attendees.